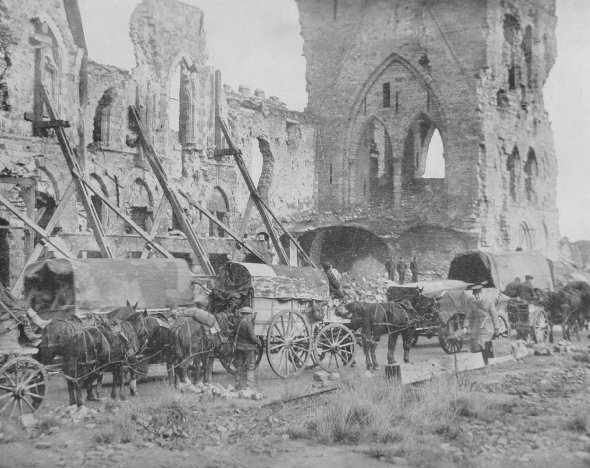 The Cloth Hall at Ypres, Belgium, constructed during the 13th century, was completely destroyed during the war. During the Middle Ages, the building was used as a warehouse and place of exchange by the Drapers' Guild. The ruins of the Cloth Hall have been preserved as a memorial.